Call Our Bayswater Cleaners Today And Forget About Your W2 Cleaning Chores! Keeping your home, office, carpets and upholstery clean can be a bit of a nightmare, especially if you lead a busy and hectic lifestyle. With your work, family and relationship obligations, it’s no wonder that the cleaning can sometimes fall by the wayside. But keeping a clean and sanitary work and home environment is important – not only for your stress levels but also for the health of you, your family and your employees. At Bayswater Cleaners we’re here to help you with all of your cleaning needs, no matter how big or small a job you may think you have on your hands, there’s nothing our professional and efficient W2 cleaning company won’t be able to do for you. If you’re sick and tired of worrying about your cleaning jobs, or if you find yourself wishing there were more hours in a day, simply call us now on 020 3743 9436 to find out more about our great services and prices. Are you planning on moving house soon? Have you put much thought into your end-of-tenancy clean? Perhaps you don’t have enough time, energy or effort, or maybe you’re too busy with all the planning and packing that comes with a house move? Moving house is a stressful time and if your end-of-tenancy clean is getting you down, why not call in our expert end-of-tenancy cleaners? Our professional staff will make quick work of your home, restoring it to a fantastic level of cleanliness for your landlord. There’s no way you’ll be disappointed with our end of tenancy cleaning service – from our reliability to our prices, we’re definitely the best in the Bayswater area for your end-of-tenancy cleaning Bayswater needs. If your carpets and rugs have seen better days then our carpet cleaning service is here to help you and your family! Whether you’re battling with stubborn stains or general dirt and grime, our experienced carpet cleaning staff use only the best available equipment and products to ensure you’re getting the best possible clean for your money. Our carpet cleaners Bayswater get deep into the fibres of your carpet to ensure that all trapped dirt, grime and bacteria is getting lifted. There’s no better alternative to a thorough carpet clean from our company! What’s even better is that our professional service isn’t going to cost you the earth. We work to bring you competitive prices that are sure to leave a smile on your face. Call us now on 020 3743 9436 for more information. We can all struggle to find the time to keep our homes clean, tidy and as bacteria-free as possible. If you’re head of a busy household or even if you find yourself working long hours, it can be difficult to find the will and motivation to come home and clean up. If you’re sick and tired and returning home to a dirty and messy house, you should call our company to find out about our domestic cleaning services. There are no jobs we won’t tackle, from dusting and vacuuming to de-greasing your oven, our expert cleaning teams will work wonders with your home, making sure you never have to come home to a cluttered environment again! Are you looking for the best office cleaning service in the area? Do you feel as though you’re spending too much on your current office cleaners? Perhaps you aren’t getting as thorough a job done as you’d like? If you aren’t satisfied with your current office cleaning solution then why not talk to our company? Our dedicated teams of W2 cleaners will make quick work of your office cleaning needs, no matter how big or how small they may be! Working in an unclean and unsanitary environment can be detrimental to the health of not only yourself, but your employees as well, and this could have a direct affect on your business! At our company we work hard to bring you competitive and affordable office cleaning prices for all of your cleaning needs, so if it’s office cleaning you’re after, look no further than Bayswater Cleaners. Upholstery cleaning Bayswater can be a long and tiresome chore that can even end in disaster if you aren’t completely sure about what you’re doing. It doesn’t take much for your upholstery and upholstered furniture to become dirty and stained, but using the wrong products or stain-removers can actually cause damage to your belongings. If you’re worried about tarnishing your upholstery, or if you’ve tried everything to try and lift those particularly stubborn stains, our company can help you today. Our expert staff specialise in W2 upholstery cleaning, so you’ll be able to get a fantastic level of service that isn’t going to break the bank! If it’s upholstery cleaning you’re in need of, our company can assist! It doesn’t matter what your cleaning needs are, from domestic chores to carpet cleaning, from your office to your upholstery, there’s nothing our professional Bayswater cleaning staff can’t handle. Based in Bayswater at the heart of the City of Westminster, our company provides the best cleaning service in the area. If you’re looking for a cleaning service to ease some of the stress and pressures in your life then Bayswater Cleaners is just waiting to give you and your family a helping hand. Our reliable and efficient cleaners will make quick work of any cleaning jobs you might have, so you won’t even have to lift a finger, never mind worry! If cleaning fears are getting you and your family down, why not call in the experts? Contact us now on 020 3743 9436 to speak to one of our advisors. Find out more about our great services and prices today – you won’t be disappointed with what’s most definitely the best Bayswater cleaning company! Company name: Bayswater Cleaners Ltd. 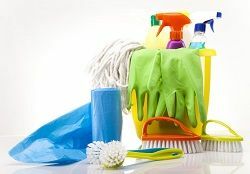 Description: Bayswater Cleaning Company provides amazing cleaning services W2 done by qualified and experienced professional cleaners who work hard.